You allude to tomato sprouts in spring. Aaaah, spring. We’re headed into light again. It’s interesting to notice the garden crops that are going strong even after a darn cold week earlier this month, and boosted others toward decay. 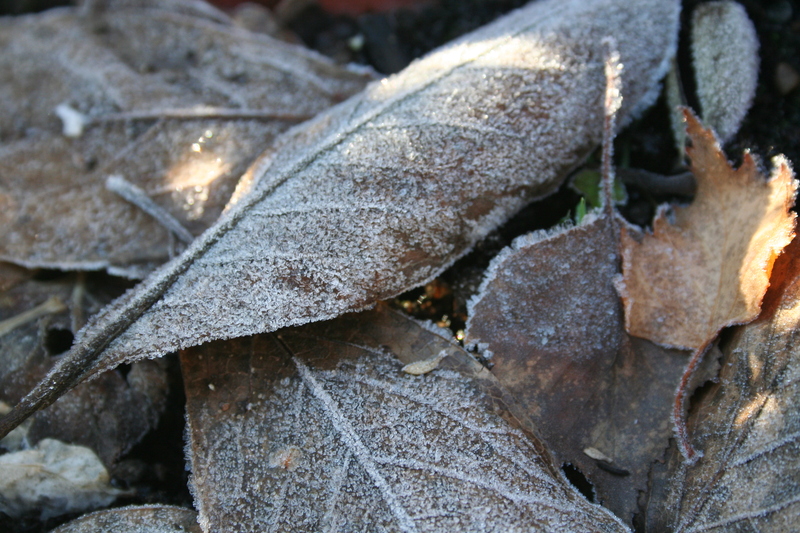 Your photo of frosty leaves is lovely and I have to say that I do enjoy the bare bones aesthetic of winter. Happy Holidays to you.